Why choose Dunes for your child? Why get fitted at Dunes Golf Centre? The big boys are flexing their muscles as most of golf’s premium manufacturers are releasing new products right now. In this feature I am focusing on the best new drivers that have just come out or about to be launched. So, if you are thinking of buying a new big stick then read on…. 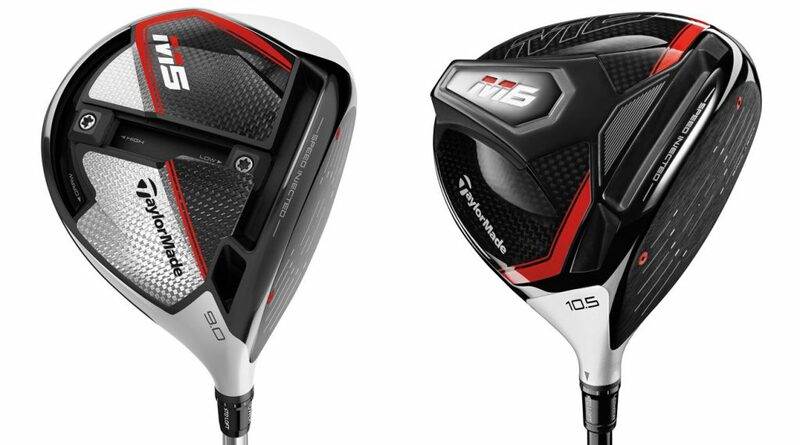 First up is the new M5 and M6 drivers from Taylormade that follow on from the hugely successful M1/M2 and M3/M4 franchises of the last couple of years. The big story here is that TaylorMade are revolutionising the process of creating driver faces for the M5 and M6 by starting above the legal limit and dialling it back by injecting resin in to two ‘tuning slots’ in the driver face. This is called ‘Speed Injecting’ and ensures that every driver is on the limit thanks to an algorithm which calculates the right amount of resin to use for every face. In 1998 driver face flex was limited by the R&A to stop how far golfers hit the ball but it has been impossible to produce drivers which consistently hit the limit of 0.830 COR. What that means is that all drivers have a different level of ‘hotness’, and while it ensures no ‘hot’ drivers go on to the illegal side, it also means many golfers end up playing with drivers which aren’t as close to the limit as they could be. The ‘hottest’ drivers are hand-picked for tour players, leaving TaylorMade estimating around 70% of retail drivers are outside the ‘hot range’ usually used by pros. TaylorMade state that the production methods in the past have made picking the hottest driver for club golfers nothing more than just pure luck. In the M5 and M6 they are removing the luck element due to the fact the Speed Injected technology will position every driver face right on the edge of the rules. Two years ago Callaway launched the Epic driver that featured Jailbreak Technology and this was a huge success. Last year they improved it further still by enhancing the jailbreak in their Rogue product line. 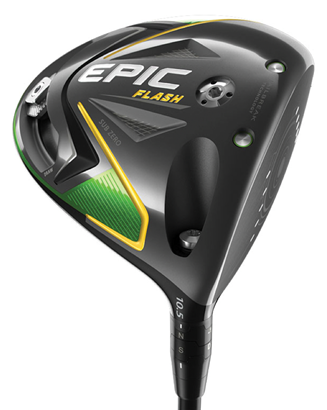 Flash Face’s sophisticated architecture was created by Artificial Intelligence – the first known instance of using A.I.in the golf equipment industry — and “Machine Learning,” a field of computer science that uses statistical techniques to give computer systems the ability to “learn” with data without being explicitly programmed. In normal driver testing approximately 6 different prototypes are used so given A.I was able to pick the best from 15000 it will be very interesting to see how the new Callaway Epic Flash performs. 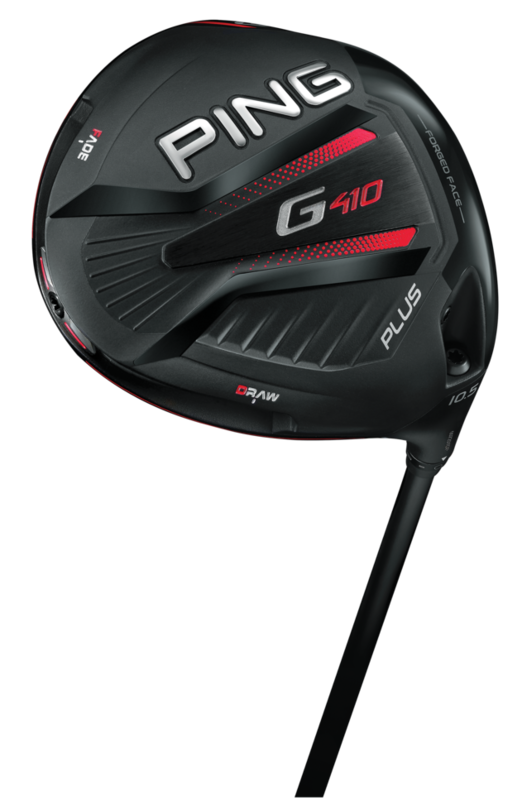 The G410 PLUS’ big feature is that it is the first time Ping have added an adjustable tungsten weight for draw or fade bias. Ping are often later to the party when it comes to things like this but only because they ensure that new design features offer a real benefit to the golfer without severely compromising another area of performance. The three positions (draw, neutral, fade) shift the CG location by 1/10″ in either direction, which equates to approximately 10 yards — or 20 yards of correction between draw and fade settings — of shot shape. 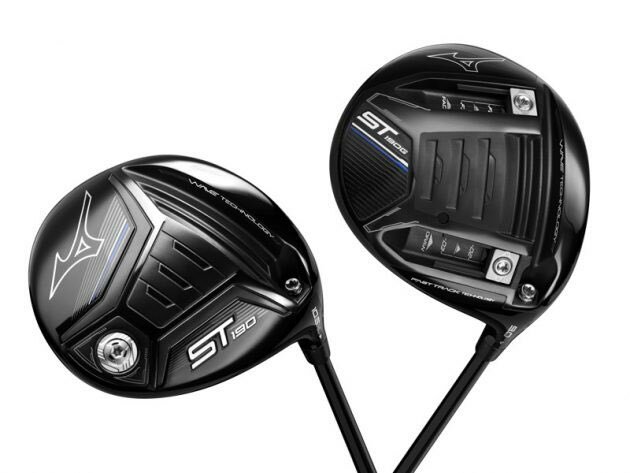 The SFtec version features a weight 50% further towards the heel than the G400 Sftec version so if you slice the ball then this club will probably be the best on the market in 2019 for you to help straighten the shot out. They’ve been able to drag the weight right to the perimeter to keep the MOI (resistance to twisting) as high, if not higher, than anything else on the market so it’s super forgiving. Better fitting is also possible through the loft sleeve which has eight positions with +/- 1.5˚. Finally, and this is a good one for the North East of Scotland, they’ve made the headcover 20% heavier to make sure it doesn’t blow away in the wind! Mizuno have struggled to compete in the driver market for some years despite their dominance in the forged iron market. However, that may be about to change as all the online reviews of their 2019 models show that they could be their best yet! The ST190G is engineered for low spin and offers Fast Track adjustability thanks to twin 7g weights on external tracks that can reduce spin by an additional 200rpm, allowing players to achieve heavy fade or draw biases by placing the weights in one track. No matter which driver you like the sound of, the single most important thing, if you are looking for the best performance, is to get fitted by an expert using a launch monitor. Our PGA staff at Dunes are highly trained and lead the way in Custom Fitting in the North East of Scotland. The technology in the studio is the best in the World for fitting as the data provides accurate feedback so you and the PGA fitter can see the difference between each option that you try. We have set our stall out to be THE place for you to buy all your golf equipment. Our well stocked shop, knowledgeable PGA staff and highly competitive pricing all backed up by a caring after sales service mean we so no reason why you should buy elsewhere. 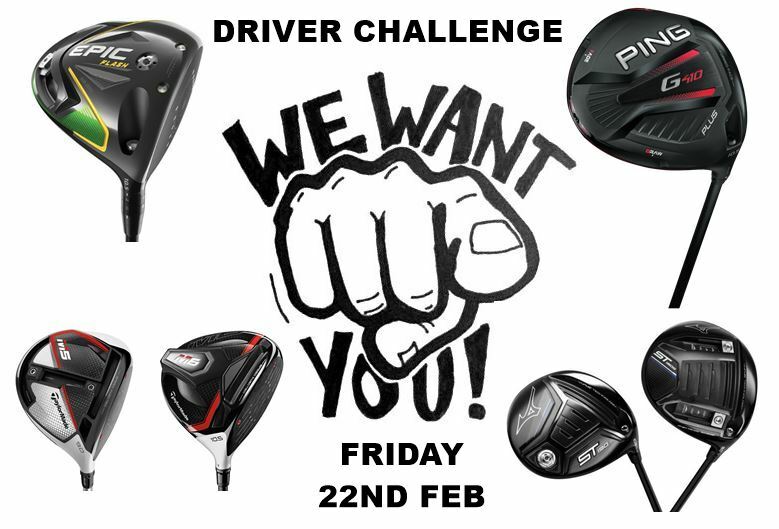 A couple of years ago we ran a challenge to see which of the new drivers you liked the best. It was so successful that we are going to run it again. However, we do not just want the big hitters to come along. We would like golfers of all ages and abilities, male and female to come and give the latest models a try. You will be asked to rate each driver on looks, sound, feel and performance. There is no charge for the event and certainly no obligation to buy anything – we just want your feedback. Growing the game of golf in North East Scotland! | Copyright © 2019 Dunes Golf Centre. All rights reserved.